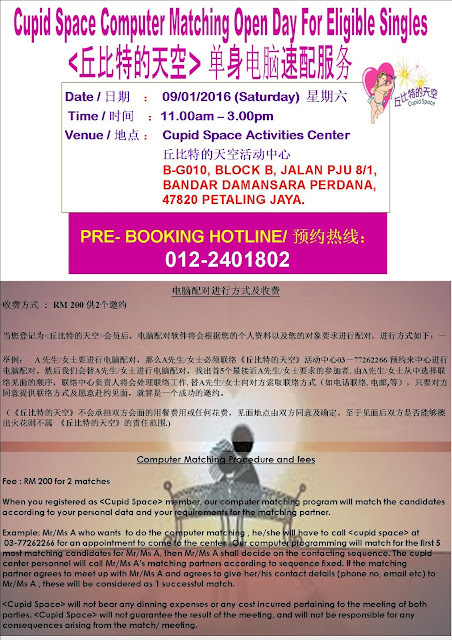 Cupid Space Activities Center is opening on 09/01/2016（Saturday) form 11.00am -3.00pm at Damansara Perdana venue for cupid member to do the computer matching service， those members whom are interested to do the computer matching, pls call 012-2401802 for appointment. 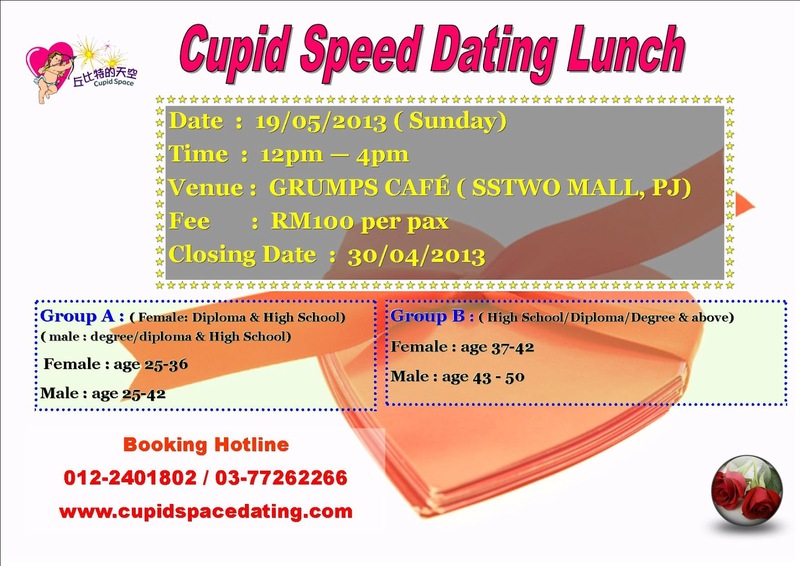 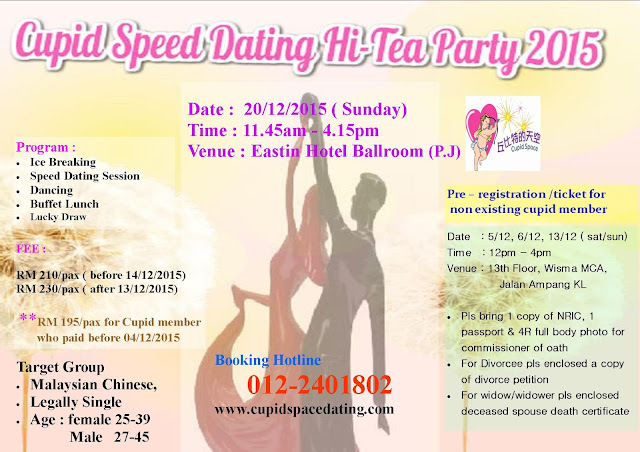 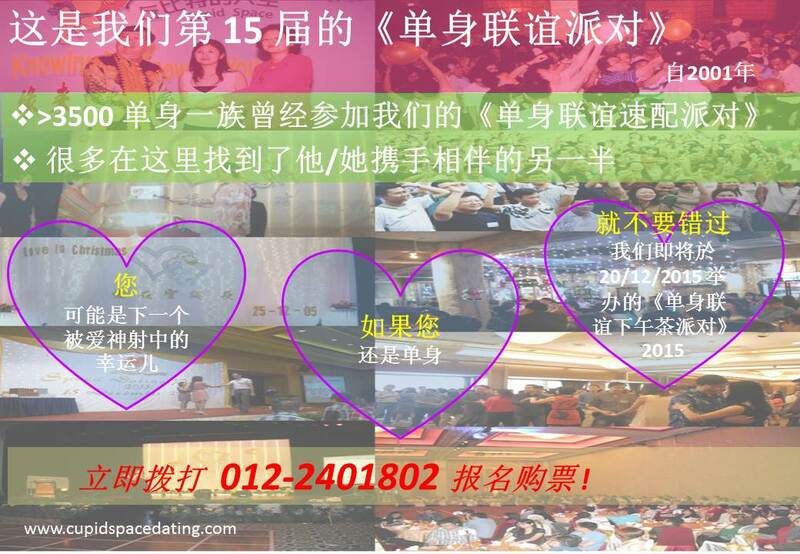 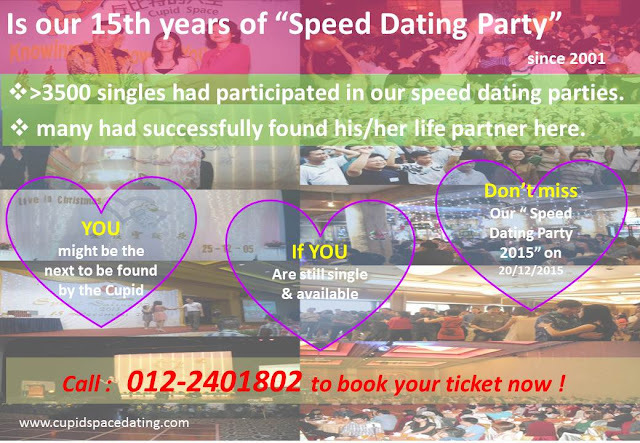 Cupid Speed Dating Hi-Tea Party 2015 (sunday) - a Hi-Tea Party event for Malaysian Chinese who are legally single （ Female age 25-39, Male Age 27-45) to gather and meeting for friendship, you will have opportunities to mingle with 200- 230 singles during the party event. 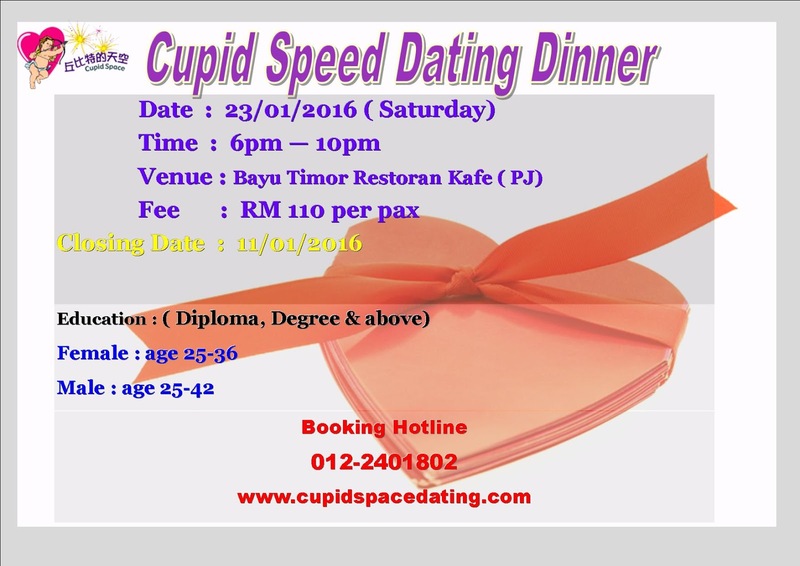 Call 012-2401802 now for booking. 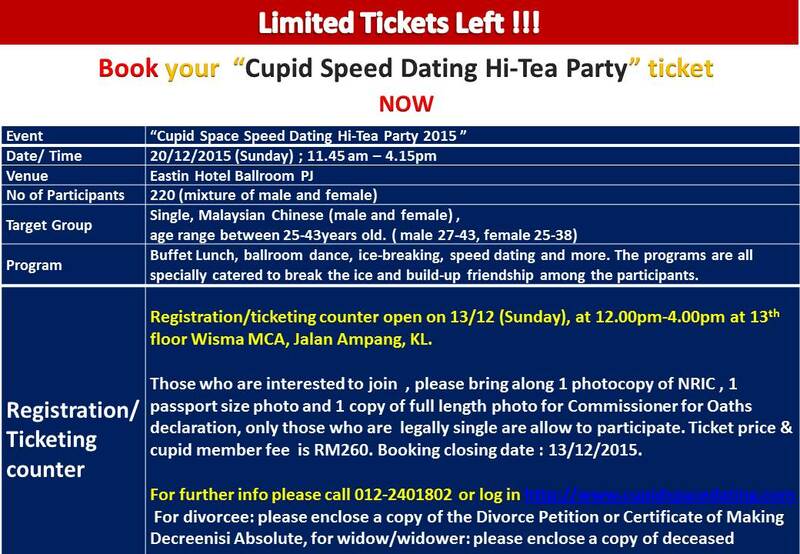 How to register as Cupid member to join " Speed Dating Hi-Tea Party 2015" ?